MADISON O'CALLAGHAN NAMED LILAC QUEEN! CHS Senior Madison O’Callaghan is named Lilac Queen! She hopes to inspire others to make connections in their communities. 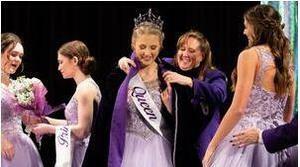 She is the first student to be crowned Lilac Queen in the history of Cheney High School! Please congratulate this young lady when you get a chance. To Josh Wisswell and our Jazz Bands. 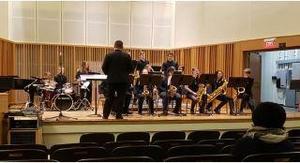 This weekend they performed at the Lionel Hampton Jazz Festival at the University of Idaho. Both jazz bands played very well and have a lot to be proud of. This is the first time the jazz bands have gone to this festival since 2013, and at that time, they competed in the AA division. This go round, we competed at the AAA level against 18 other groups. Jazz 1 received runner up (2nd place) recognition at the evening concert. 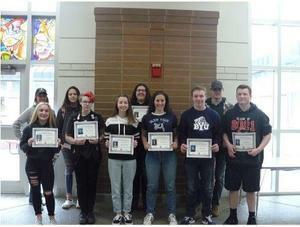 This includes beating out Ferris High School jazz band 1, North Thurston High School jazz band 1, and Garfield high school jazz band 2 (one of the top jazz programs in the nation). Our Jazz Band students put in a lot of hard work during zero hour each day, and their efforts are paying off. Well done! The Blackhawk Scramble is bringing in some new enthusiasm and we are excited for this year’s tournament. Please take a look at the flyer and consider golfing to support the CHS Athletic Department and our Local Kiwanis Academic Scholarship fund for graduating CHS Seniors. Cheney High School is using Parchment as a simple way to Request and Send Transcripts! If you graduated before the year of 2001, please call the Teaching and Learning Office at (509) 559.4526. Just a reminder that Diplomas are a one-time only, ceremonial item. Copies are not available. Please click on the link to follow the 3 easy steps to request and send your transcript! Our families may purchase their students ASB card, pay class fees, pay fines, and put money on your students lunch account through our online e-store using a debit or credit card. 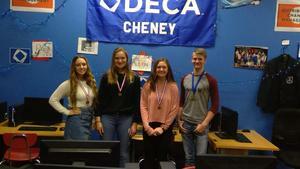 DECA held their Area 11 Competition on December 10 and had 5 state qualifiers. There are six more competitors that have projects due in January who could potentially qualify for state. Thirty-two Cheney students participated. 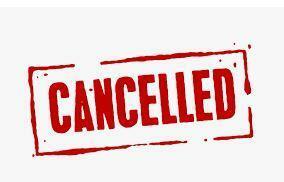 Drama practice, Swim practice, and Gymnastics practice have been cancelled for today. All activity buses have been cancelled. There will be Wrestling practice for those who don't take the activity bus home.